Do you want to create something for yourself but you don’t know what? Do you have a business idea or two but aren’t sure if they’re the right ones for you or where to start? This is a special episode where I share the first two steps of the 10 step process. Sundae Bean and I have created this framework to help you find the business idea that fits your dreams, needs, and lifestyle. To discover all the 10 steps, we have a 90-minute FREE webinar full of advice and questions you need to ask yourself for finding the right business idea for you. You can download it here. A business really needs to be aligned with your life vision, values, purpose and lifestyle. If you don’t have a clear idea about it, then make sure to work on clarifying these elements first! Starting a business can be very demanding. Therefore, you need to make sure to build the right routines and systems to make it happen. Be aware of the other obligations you might have in your life and how the business can impact your desired lifestyle. 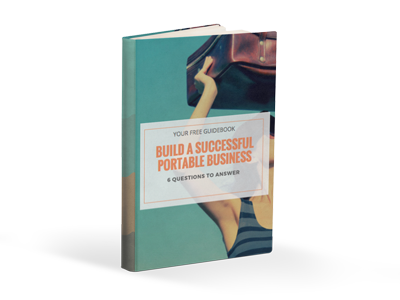 For example, as expat partners or global nomads, it’s important to build a business model that’s portable. A business that allows you to run it from wherever you are and provides you the time and flexibility you need while living on the move. We want to help you build a portable career and avoid spending time, money and energy into a business that is locally implanted. A local business that you’ll have to leave behind when you move again. 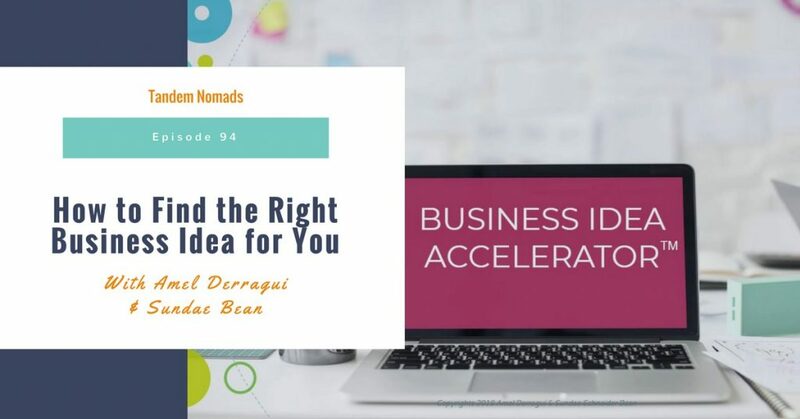 That’s why I joined forces with Sundae Bean to bring you a framework and advice on how to find the right business idea for you. We are passionate about making sure you get off on the right path in turning the challenges of living overseas into opportunities. How to take action after this episode and make it happen for you! Click here to receive the replay of our webinar “How to Find the Right Business Idea for YOU”!